In the only Practice match, which is being played between Cricket Australia XI and India in Sydney. This is the golden opportunity for Indian batsmen to test their preparations before the first Test in Adelaide on 6th December. 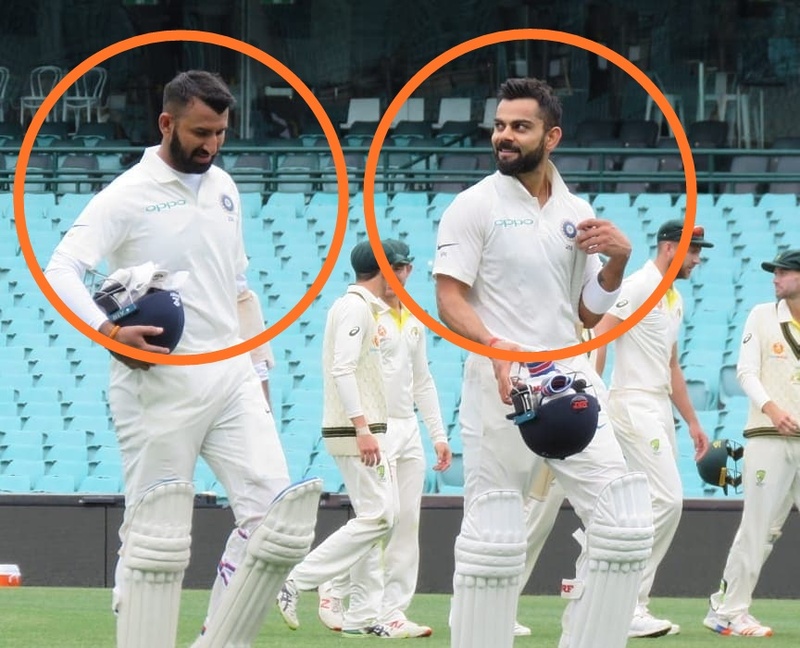 From the top order to the middle order, five batsmen of India scored a half-century and confirmed their place in the first Test in Adelaide. Batting, first India scored 358 runs in the first innings in 92 overs, In reply CA XI scored 24/0 at stumps. As an opener, young Prithvi Shaw is sure to play, who started off with an innings of 66 in practice match. However, who will be the second opener of the team, it is not clear at the moment. 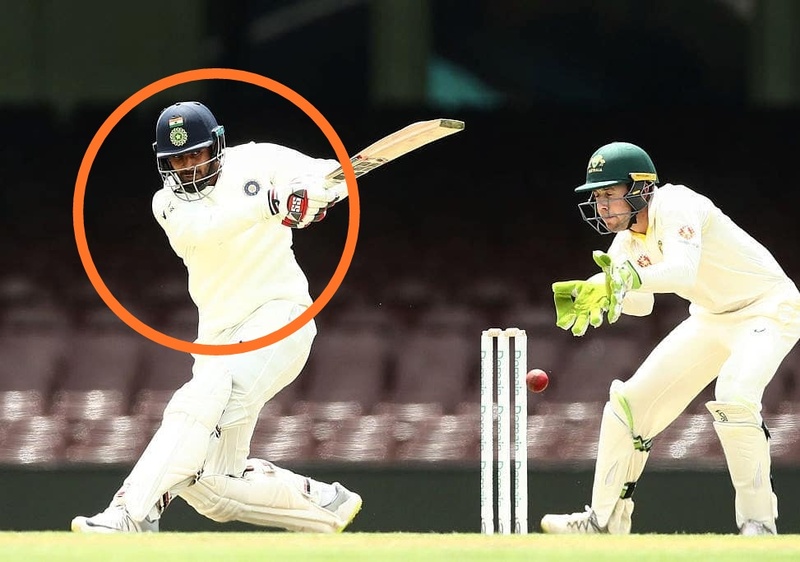 However, Lokesh Rahul's failure in practice match has increased the chances of Murali Vijay for the first test. After Shaw, Pujara scored a half-century and corrected his hopes of playing at number 3, Pujara scored 54 runs. Virat Kohli also scored a half-century, he scored fifty in 78 balls. However, in the match, Virat scored 64 runs. 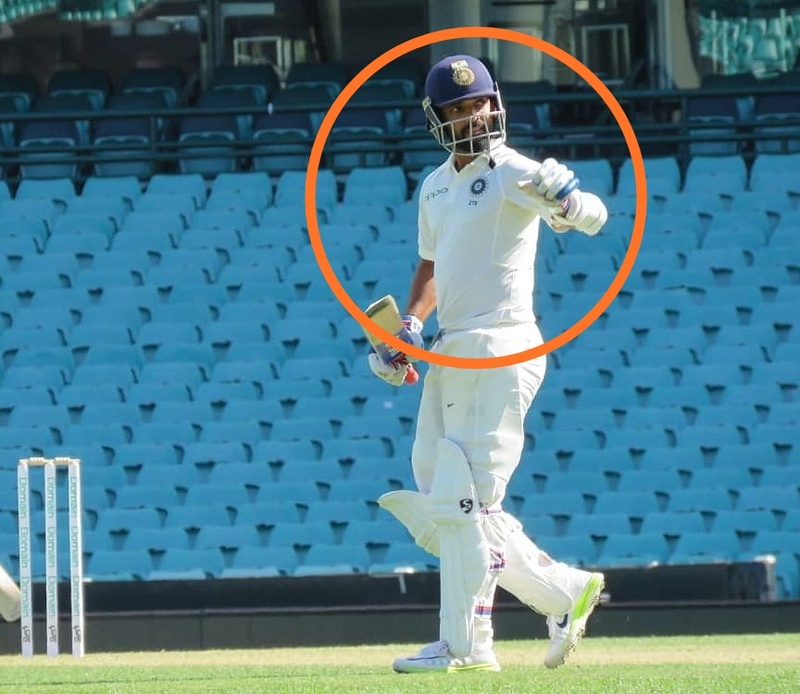 Rahane faced 123 balls and scored 56 runs, with this the Indian test team vice-captain is certain to play in the first test. Batting at number 5, all-rounder Hanuman Vihari also claimed his half-century in practice match. 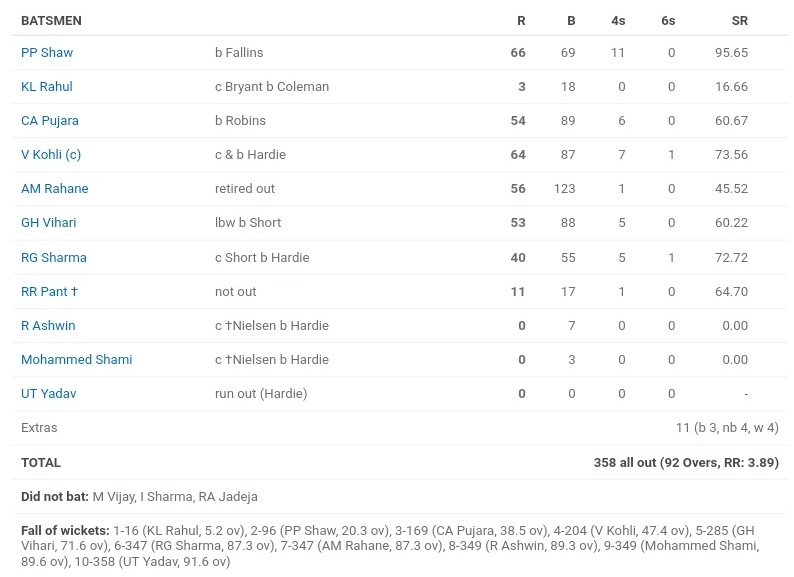 Vihari scored 53 runs off 88 balls. Rohit Sharma's name is also discussed in the Test series but he was out for 40 in practice match. At the same time, Hanuman Vihari's chances of playing in the first test have increased. 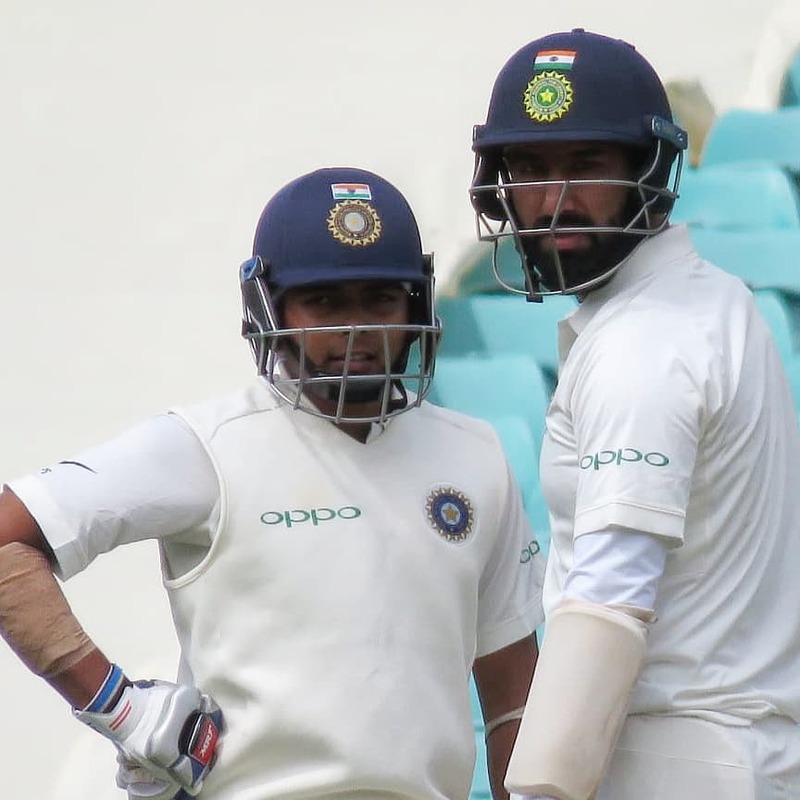 Who Should play in the first Test, Rohit or Vihari? Do send us your valuable feedback below.